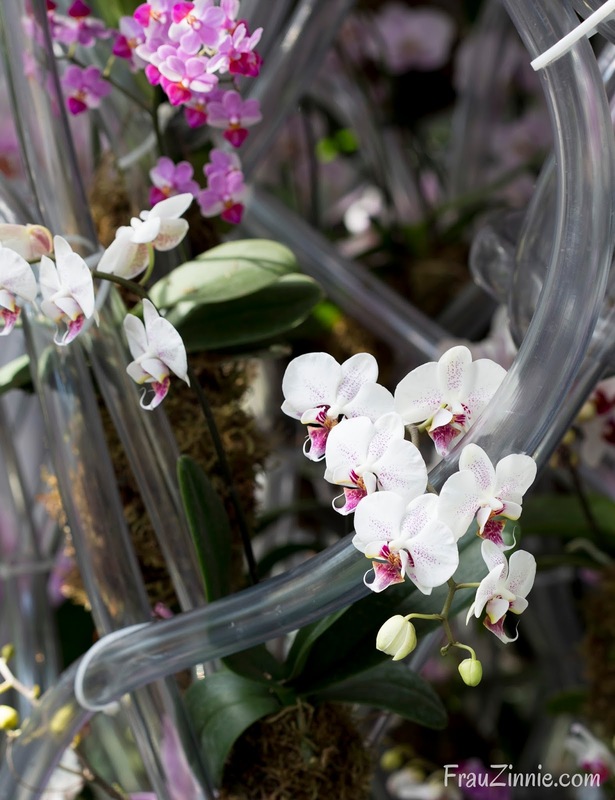 Upon close inspection, there are a variety of orchids that make up the first structure. 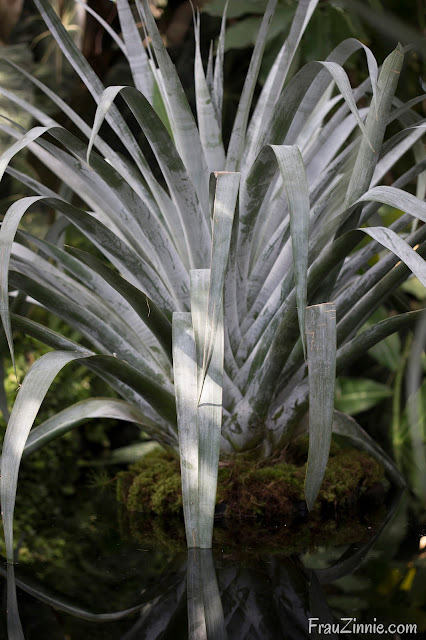 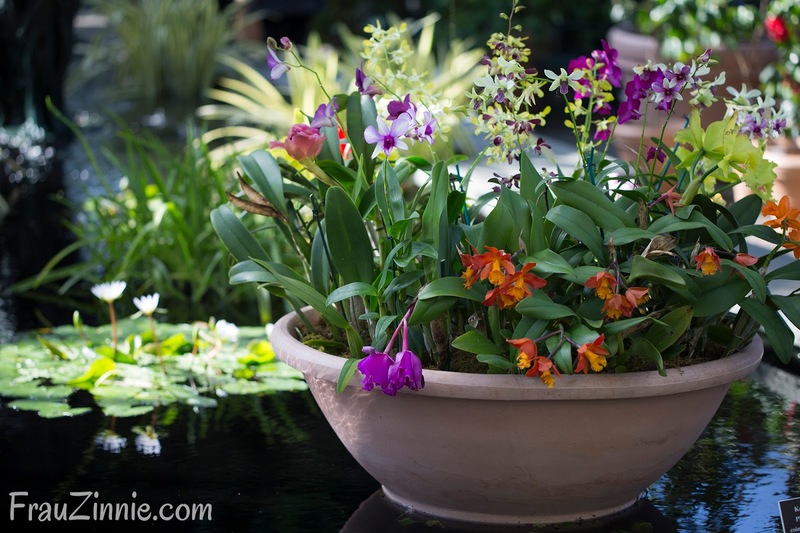 Large floating bromeliads ('Vriesea odorata') in the reflecting pool. A view through the palm trees at the first installation. 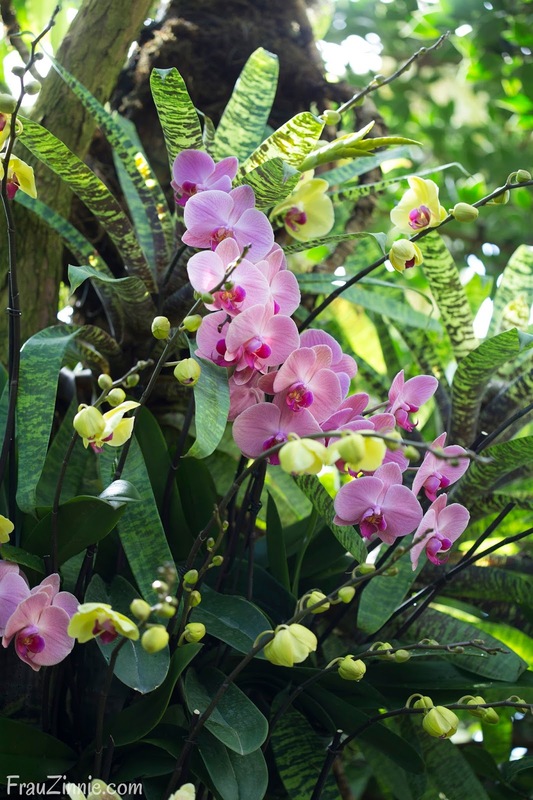 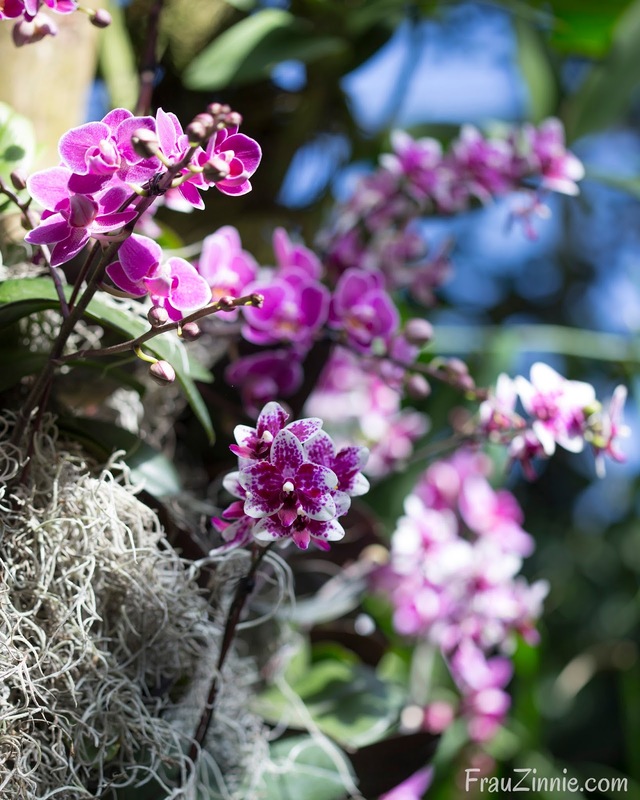 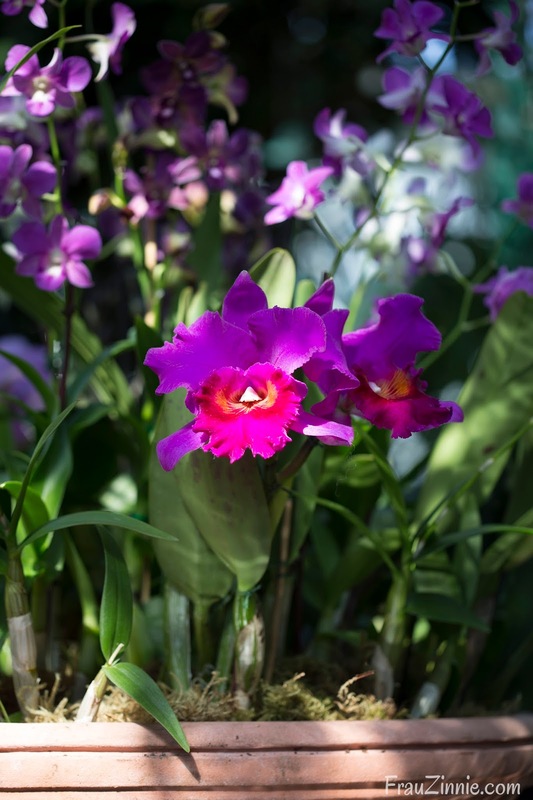 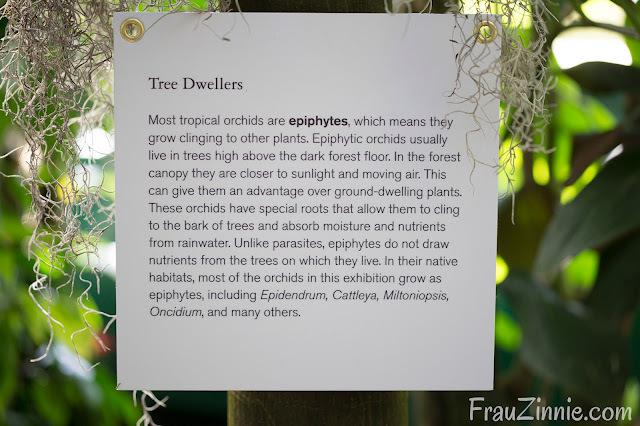 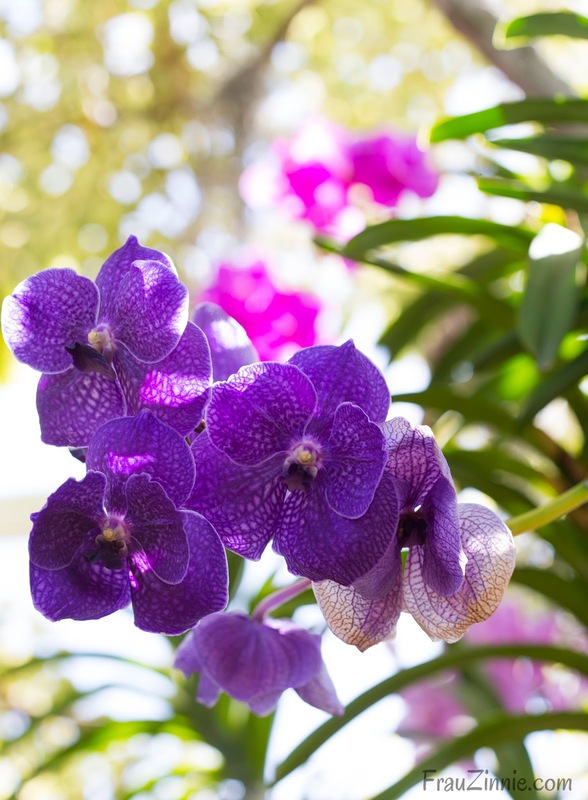 Educational signage is included throughout the conservatory to educate visitors on orchids. 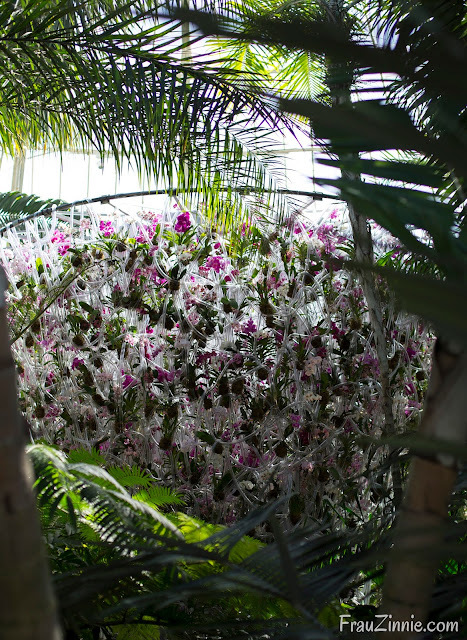 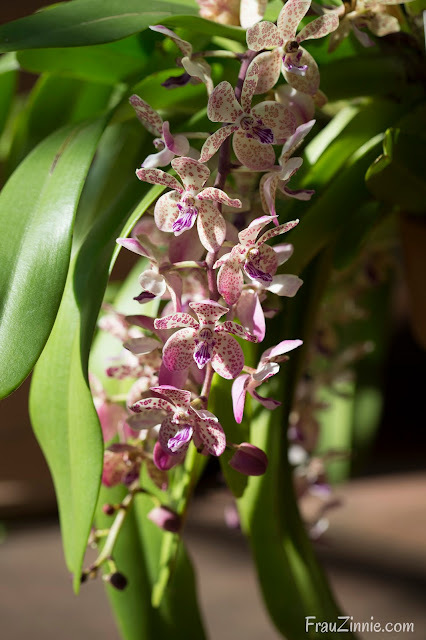 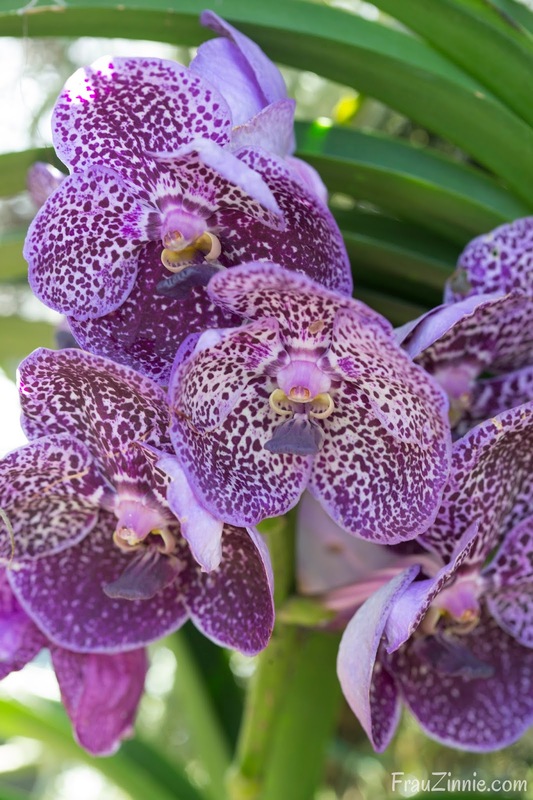 Orchids find their way into permanent collections. 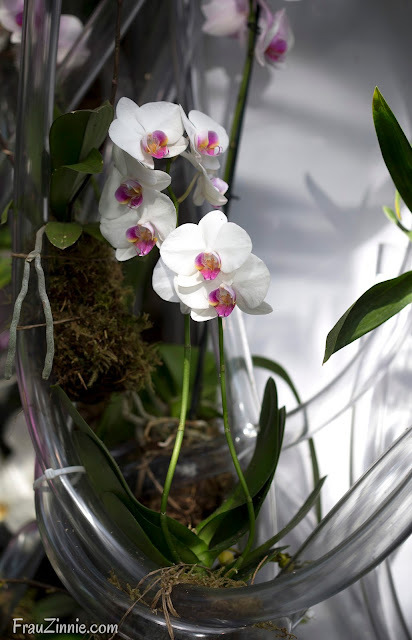 An example of the long orchid roots on display. 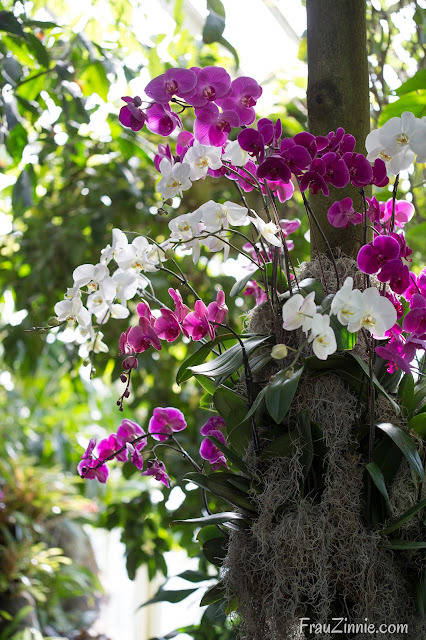 and Indonesia to the Philippines and New Guinea. conditions with plenty of light and water.